Galina Lindquist (1955-2008) was a Senior Lecturer in the Department of Social Anthropology, Stockholm University. She received her Ph.D. in 1998, and did fieldwork among neo-shamans in Sweden, among alternative healing practitioners and patients in Moscow, and among shamans and lamas in Tyva, Southern Siberia. 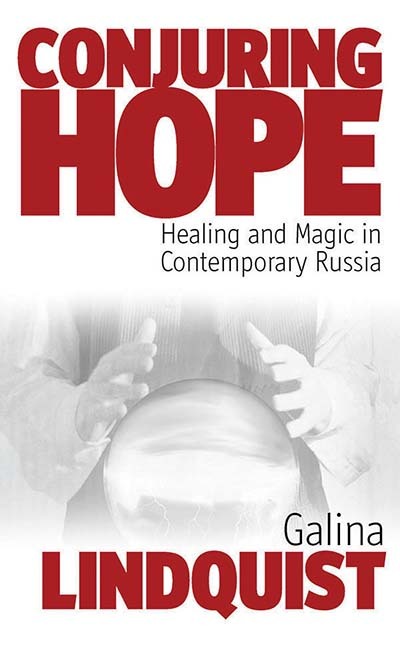 She authored Conjuring Hope: Healing and Magic in Contemporary Russia (2006), The Quest for the Authentic Shaman: Multiple Meanings of Shamanism on a Siberian Journey (2006), co-edited four volumes, and published numerous articles in professional journals.